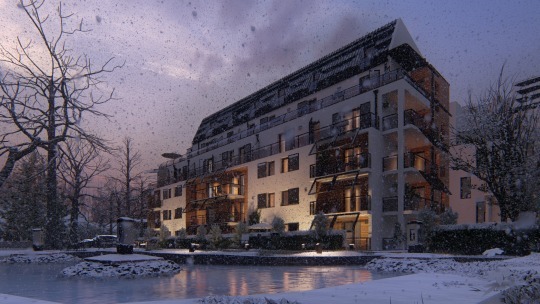 A combination of beautiful Real Skies, Sky Light 2 and atmospheric rain and snow heighten the “living” look of the environments surrounding your designs. It may be an old, overused cliche but there’s definitely some truth to it in the architectural world. Buildings are inseparable from their locations, and when communicating your design to the outside world, making sure the viewer understands the design’s context is everything. Something as simple as the look of the sky can act as an anchor, grounding you to the reality of your project’s environment. Weather such as rain and snow beautifully demonstrates how your design will endure through both climate and season. 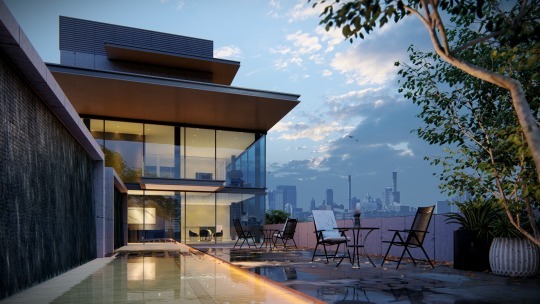 Renders of the luxury city apartment throughout the year. 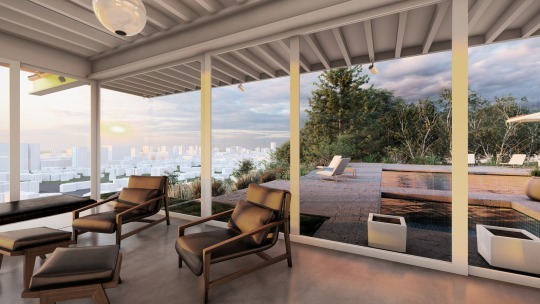 With Lumion 9 Pro, achieving this “living environment” look is surprisingly easy with new features such as Real Skies (w/ Sky Light 2) and Atmospheric Rain and Snow. In just a few clicks, you can give your design the strong, blue light of a clear, sunny day, or you can present a more dramatic look with heavy shadows as thick rain clouds roll in. Here is an example of how Real Skies and Sky Light 2 make a subtle (but highly effective) impact on your scene’s lighting. With the new Atmospheric Rain and Snow, it’s now possible to show the different phases of precipitation as if falls. For instance, imagine you’re designing a building for a location that’s known for its bouts of wild weather. By configuring the Precipitation effect with keystrokes, it only takes a few minutes to make a video of your project going from an all-out downpour to a stunning, calm day. 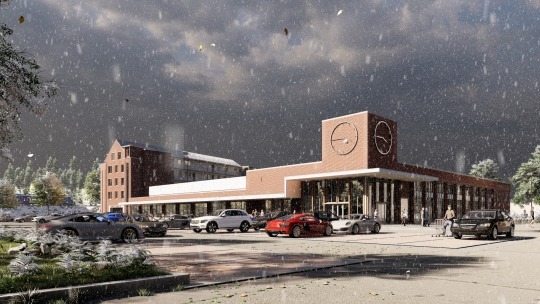 To show your building design in a brutal, northern winter, simply add the Precipitation effect, tune the slider to the snow option and let the flurries fly. 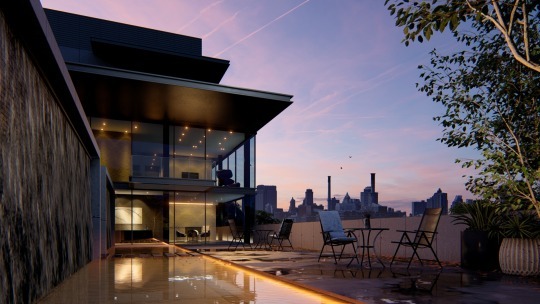 In this blog post, we’ll take you through two of the biggest new features in Lumion 9 Pro — Real Skies and Sky Light 2 and Atmospheric Rain and Snow — and we’ll show how they can provide a living element to your 3D renders. The relationship between the sky and your design is central to showing the reality of its future construction. From the exterior, the sky is what shapes the look and the feel of the building. From the interior, it’s a major part of what the building’s inhabitants will look out and see day after day. 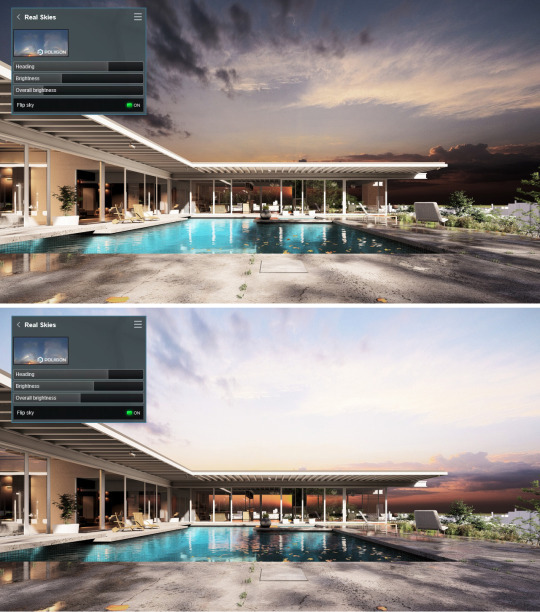 With the 39 new, pre-configured Real Skies effects in Lumion 9 Pro, you can instantly dress your render with a beautiful, realistic sky in Photo, Movie and 360 Panorama mode. In the short video tutorial below, you can learn the basics of using Real Skies. As you saw in the video, heightening the beauty of your scene with the Real Skies is likely one of the easier parts of creating your render. 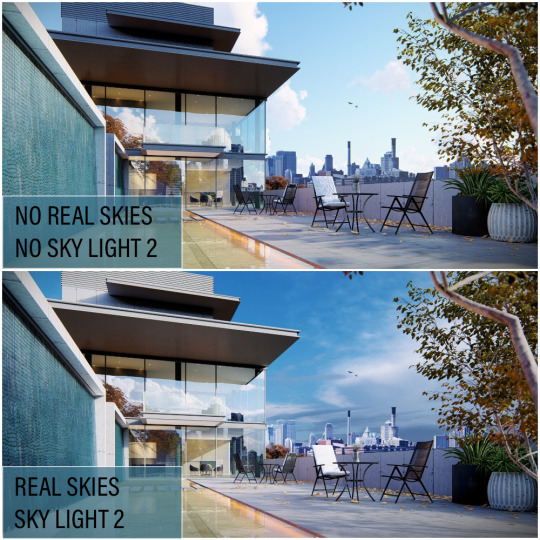 Below, we’ll go through the different sky categories and demonstrate a couple things you can do right away to customize your render’s look and get the ideal sky for your design. There are 39 new Real Skies covering several different categories, including Cloudy, Evening, Morning, Overcast, Sunset and Clear. And within each of the categories, you can find a number of different skies. The Real Skiespossibilities are shown in the gif below. In addition to the 39 Real Skies options, you can achieve an almost limitless variability by opening the effect and moving the sliders around. You can change the heading, the sky’s brightness and the overall scene brightness. You can even flip the sky for a different look. Here are a few examples of the Real Skies effect sliders in action. 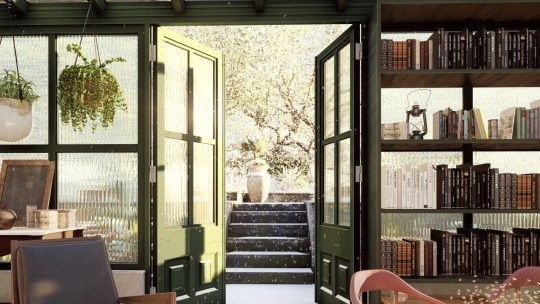 While the Real Skies and Sky Light 2 have the most impact when applied to exteriors, this feature can also be highly effective when attentively applied to your interior renders. The new atmospheric rain gives your structure a soothing, relaxing backdrop. The atmospheric snow reinforces the cozy, wintery environment that may be a crucial part of the building’s setting. Here’s how to get the most out of the atmospheric rain and snow in the Photo and Video modes. To start, click on the “FX” icon and simply go to the Weather and Climate category. Click on the Precipitation effect to add it to your effects stack. From here, click on the effect again to access its customization options. Here you will see a range of sliders, including Rain / Snow, precipitation phase, particles quantity, particles size, blocked by plants, blocking distance, extra fog addition and block bias. To create an atmospheric, rainy look for your designs, make sure the Rain / Snow slider is positioned to the left (moving it to the right will transform your rain into snow). To give your scene the look of a cozy, winter wonderland, you can simply shift the Rain / Snow slider to the right. The rain will change to snow, and you can customize the exact look of the falling snow and the snow on the ground by moving the effect’s sliders around. You can easily change the look of the rain and snow on the ground, as well as the level of precipitation, by tuning the “phase” slider. Additionally, if you want to change the size and amount of the individual raindrops or snowflakes, you can adjust the particles quantity and particles size sliders. 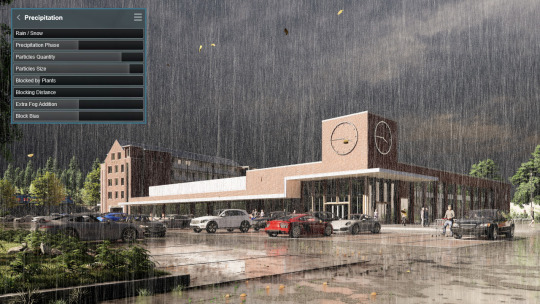 Also in Lumion 9, the rain and snow are blocked by buildings, overhanging objects and other objects that would block precipitation in real life. You can even adjust some of these settings with the blocking sliders. 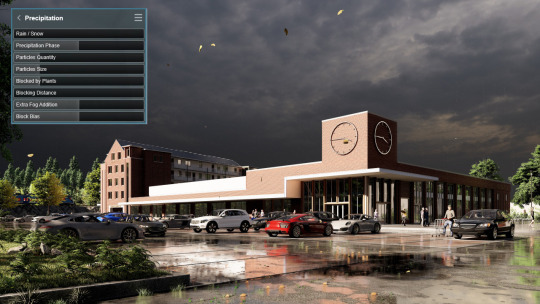 *If you have Lumion 9 (not the Pro version), you will still have the Precipitation effect in photo, video and panorama mode; however, you won’t have the new atmospheric rain and snowupdates. 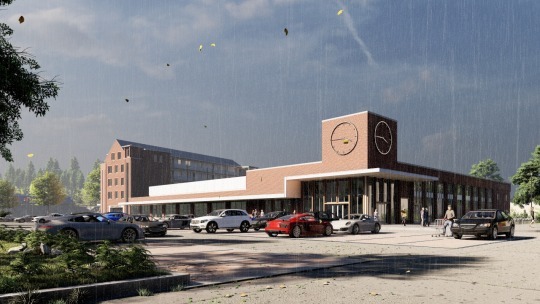 To get the most impact from your 3D architectural renders, it can help to show the beauty of the location’s skies and then give an atmospheric perspective as your design stands in all sorts of weather. 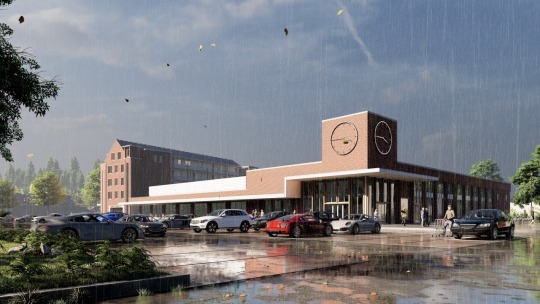 And the best part is that any architect can effectively apply the Real Skies and the newPrecipitation effect, surrounding their designs with stunning, realistic context that’s as living as the building itself. 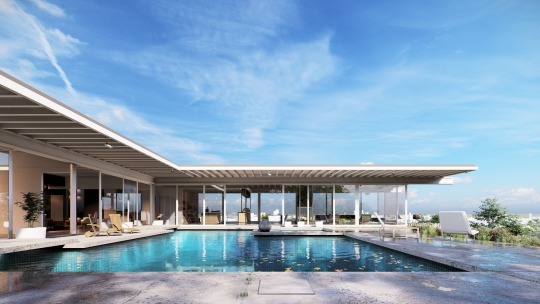 Can’t wait to try Lumion 9? Head over to the website for purchasing options!